All that motion in the shot made from the stern of the ship had a lot less to do with the direction the ship was traveling in than the fact that the stern of the ship is directly above the ship’s screws and a lot closer to the engines than is true of the bow. Engines and screws cavitating in water produce a LOT of vibration, something less apparent as you move further towards the bow. Best bet for rock steady shots is to forget about a cruise ship altogether. One more thing. Most cruise ships (for insurance reasons) will keep the open decks well lit at night. Can’t have passengers complaining they almost fell overboard because they couldn’t see where they were going. I wasn’t expecting rock steady shots. Indeed I was hoping to see motion. However, I’m not sure the screws added much turbulence… and there wasn’t any noticeable vibration. 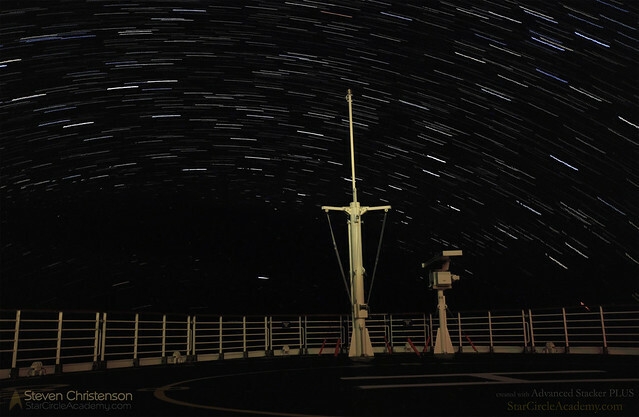 But there definitely was much more motion overall at the stern – probably mostly due to the speed and sea conditions. 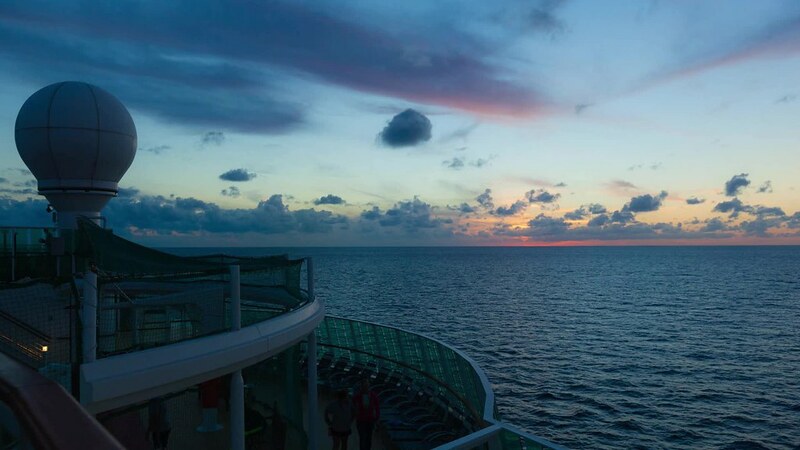 As for darkness… if the cruise line had a “viewing night” where they turned down the lights in an area that would be enough to see the sky well. 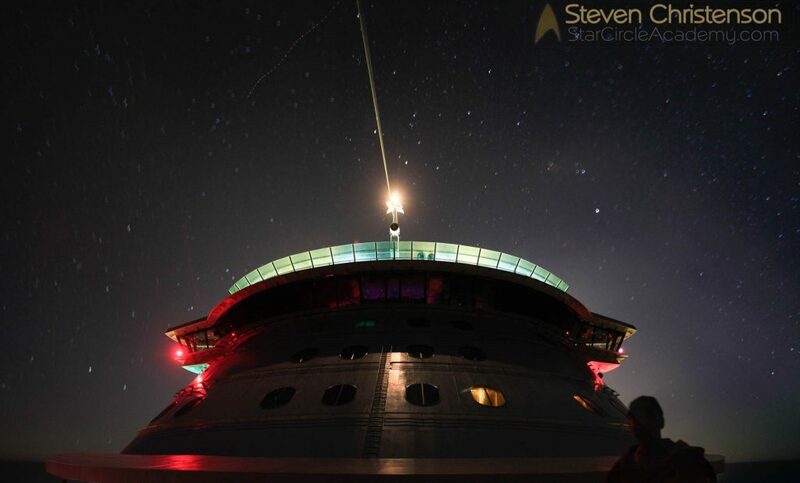 On the Brilliance of the Seas, for example, most of the lights on Deck 13 (top deck) at the stern are pole type lights. Dark red plastic over them (think Target shopping bags) would tone down the light a lot if they can’t be turned off or dimmed. Wow. I’d kill to see dark skies, particularly the Milky Way – or a meteor shower. 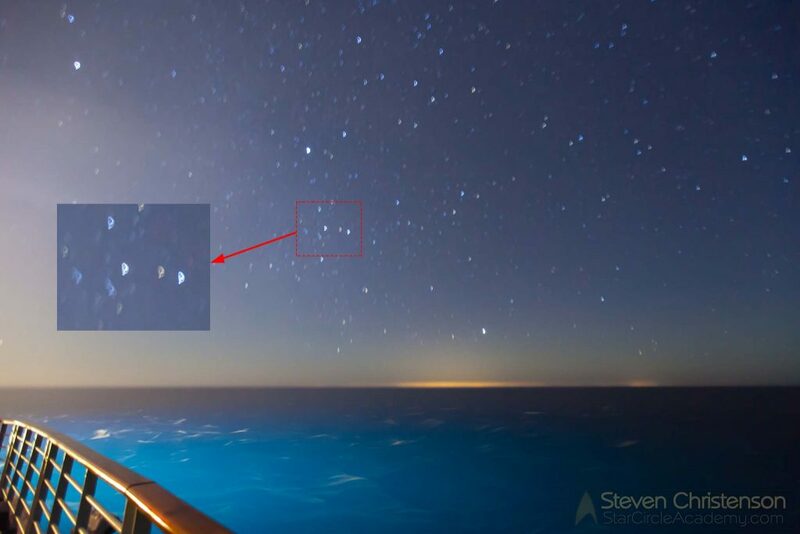 My cruise ship experience was as yours – it was impossible to escape the light and even see stars. I’d love to have a chance to be in a dark area and learn more about the night sky and night photography. 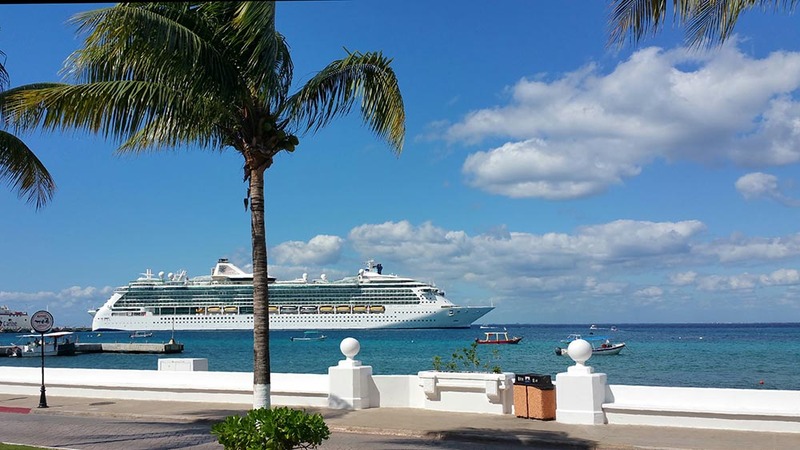 Hoping that you can make this go – and that the Cruise lines are smart enough to exploit their untapped resource. Hi, Steven! Your photos are amazing! You are really pro! 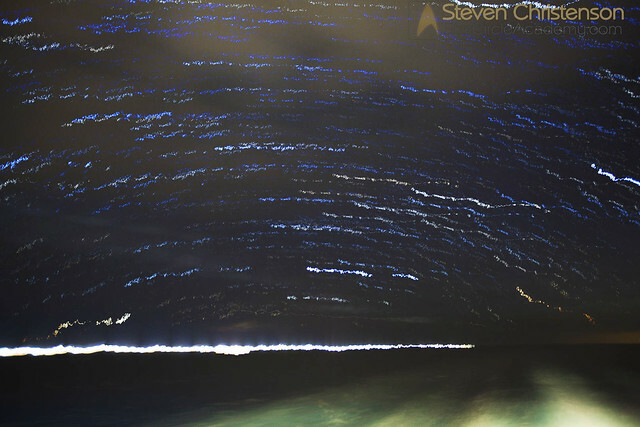 If you want the ins and outs to capturing sea and sky astropics this is for you.